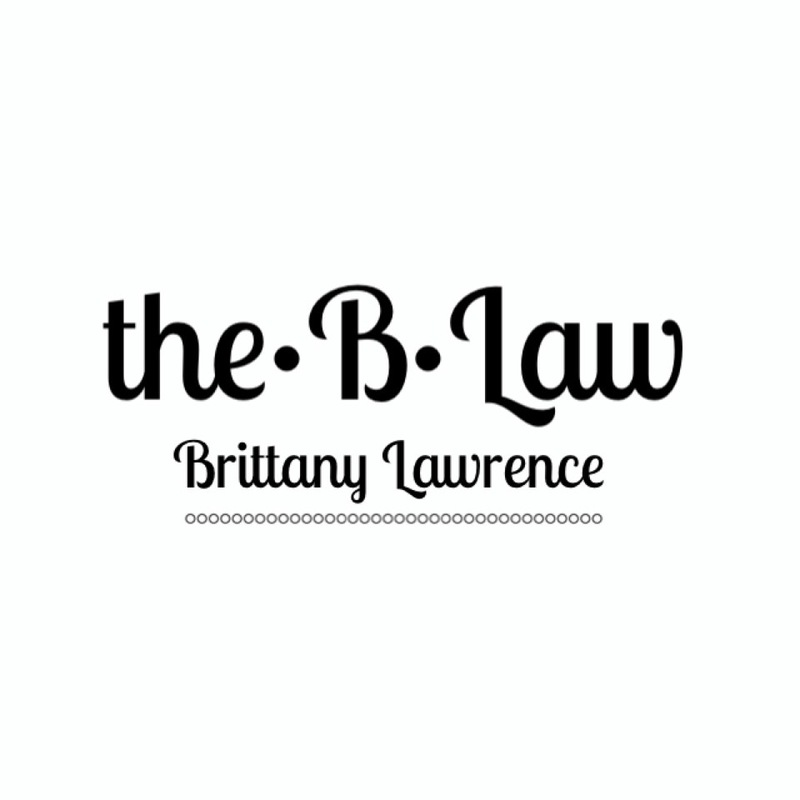 The blog will be changing to the.B.Law! When I thought of this name I liked it, but still wasn’t sure. Then as I kept thinking about it, the more I fell in love with it. It is kind of a play on words and has a few different meanings, one- obviously it represents my name, two- this was my high school nick name (I was on varsity dance and we had three Brittanys so my name turned into B-Law), and three- I like that it sounds like what I am saying is my law (haha). Changing the name from Tragic Girls is bitter sweet. Tragic Girls is what got me started and it holds a lot of meaning and memories, especially of my roomie and I. I am excited though for the change and what the new name, the.B.Law means. They reason I am making the change is because I have come to a point where the name Tragic Girls itself I feel is restricting me. I know it is my blog and I can write about whatever I want, but I want my name to reflect what my blog is about, or at least be broad enough to cover whatever. Tragic Girls was fun and I will always be tragic, but I want to write about more. I have already ventured into style however, with the name Tragic Girls, if you didn’t read the blog already it may seem like I am writing about tragic fashion which I am NOT! I want a name where any topic is possible. Trust me I have tried to break out of this confinement and convince myself otherwise but it hasn’t worked, the block is in my head. Tragic Girls will always be a part of me and you can bet if something tragic happens I will still post it (tragicness is inevitable in my life), and as long as I can figure out how to do it, I want to keep tragic girls as a page on my blog. I will have to research and mess around to figure out if that is even possible. The other change to my blog will be the look. I have been trying to hint with the pictures I have been posting about the upcoming changes. I want it to be classic, black and white. Simple and classy. I am still trying to find the right theme and I think I settled on one last night. In a few day Tragic Girls will be officially close for “construction” while I work on the changes. I hope you will all enjoy what is to come! I think that’s an awesome name!